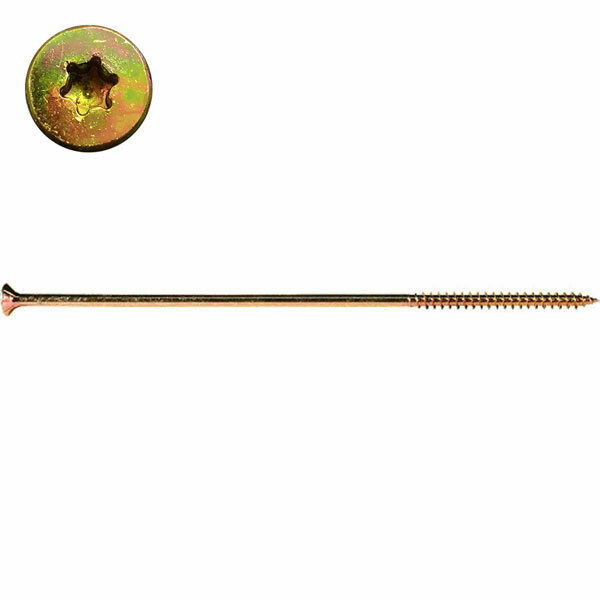 Gold Star yellow zinc coated screws are an excellent multi purpose fastener! Coated with a triple dipped zinc coating, the Gold Star is for use in demanding industries using hard or soft woods. Excellent for chipboard and other tough materials. Removable and reusable for temporary applications! Gold Star's proper thread length and superior holding power won't back out like nails and also is self countersinking, self tapping and more! Our Star Drive offers twice the torque of Philips or square. Great for cabinetry, furniture, roofing, post and beam applications, log to log and more!